Drew Totten Autographs & Entertainment has been serving the discriminating collector since 1989. We buy, sell, trade and broker quality autographed material worldwide. 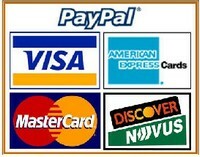 Our online store selections are constantly changing, so please feel free to contact us with your specific requests. Tottens does offer quantity discounts and we are one of the fastest shippers in the autograph industry. We constantly strive to make Totten Autographs a premier memorabilia company offering both vintage and contemporary items not normally seen in today's marketplace. Service, selection and quality have always been our hallmark. We stand behind all our signed memorabilia 100% with a money-back guarantee and are members in good standing with the Universal Autograph Collectors Club (UACC). 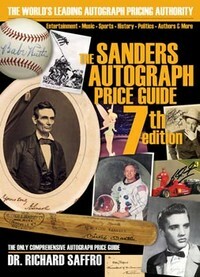 Tottens also has been named an "Approved Dealer" in the recent edition of the "Sanders Autograph Price Guide" which we are very proud of.